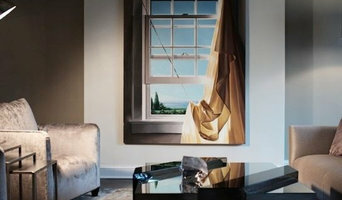 The industry leader in to-the-trade home furnishings. Kravet distributes fabrics, furniture, wall coverings, trimmings, carpets and accessories - everything needed to complete your project. Omar started out working for various workrooms and decorating companies in New York City, which provided the opportunity to work in many different residences, showrooms and restaurants in New York, Omar combined expertise, talent and he was able to perfect his skills and open his own workroom. He believes that a Plaza Home Interiors customer should be a customer for life, and his work is dedicated to the commitment to keep customers satisfied at all times. Omar fully stands behind each custom product, and gives the closest attention to every single detail always working out the best solution to any complex project or design. Omar has learned that honesty, professionalism and courtesy go hand in hand with quality and success and he is committed to achieving high quality standards before he delivers to his valued customers. Customer service is at the heart of Plaza Home Interiors commitment to it’s clientele. Your satisfaction is our primary goal and all this years we earned the trust of satisfied customers with our designs, services and the most competitive prices for custom upholstery and window treatments. “It’s not the period, it’s the piece.” That quote typifies who we are and what we strive for in our pursuit of timeless treasures of design. Saarinen, Eames, Baughman, McCobb, and Knoll are some of the masters of modern design, and we constantly search out their work. But, our aesthetic does not end there. We believe that simplicity of design and the finest materials available are the elements that create a piece that will stand the test of time. That is the challenge. Finding and creating those "Gems", not just an object, but a conversation piece to be appreciated and loved for generations. Whether the piece is from Italy, France, Denmark, Germany, or created by our own design team and manufactured in our facility in Connecticut the one constant element that runs through the grain of everything we touch is Integrity. That integrity does not end there. Every conversation, every issue, every sample sent, every shipment made reflects that mind set. We never lose sight of our mission. To deliver a piece of furniture and a pleasant, rewarding experience, both to be valued for years to come. Designway came to life more than 40 years ago and quickly became one of the most important custom workrooms serving the NYC design community. Interior designers and decorators knew then as they do now, Designway is the place to come when clients have specific requests for unique window treatments, custom designed furniture and upholstery, and other customized fabrications. Designway services the professional NYC design community, while expanding its reach to private clients who seek a highly personalized approach to making their homes and offices suited exactly to their needs. Do you need to reupholster your sofa or want custom curtains or shades to complete the look of your living or dining room? Are you seeking just the right bed covering and pillows for your master bedroom? Designway answers your needs. While many such specialized workrooms in NYC are no longer in existence, Designway is the one place where designers and private clients alike come and chose fabrics, restore heirloom pieces, and see new pieces realized exactly in the way they desire. We are fine antiques restorers with 20 years experience, acquired mostly in France and Italy (graduated from the “Ecole Boulle” in Paris and Italian Art & restoration degree). Our work is based on conservation and restoration, specialized in furniture, gilded and painted objects. We recently opened our workshop, 5 min away from the Lincoln tunnel, in Union city NJ. What we can offer : Conservative restoration : Analytical abilities to recognize periods and technique of antique furniture, reinforcement with reversible products, preservation of antique finishes. Integrative restoration : integration of missing parts with reversible products, removing veneer repairs of cores and integration of veneer plus re-gluing original veneer, refinishing respecting the original technique. In details : Any kind of structural repairs and any kind of repair on veneer and solid wood. Repair on sculptures and marquetry. Treatment of wood worms. Any kind of finishing preservation. Removing finishes, refinishing (french polish, satin finishes, oil varnish finishes and lacquers). Any kind of guilting, silvering, metal leaf and patinas. Any kind of cleaning of original paint surfaces. Any kind of reconstruction, matching colors on paints wood grain and gilding. We have worked on furniture of cabinet maker and designer such as Emile-Jacques Ruhlmann Jules Lelue Dominique Eugene Printz Maxime Old Mathieu Criard JME I VE JME J.G Shlichtig R.V.L.C Please keep in mind that our prices are very flexible, according to the scope of the work. We hope to ear from you soon and thank you for your consideration. Upholstery furniture services,Custom build new furniture as:Sofas,chairs,ottomans,sectionals,benches,headboards,upholstered beds,slipcovers,cornices,window treatments, as: Roman shades,draperies,curtains,valances,fully upholstered wood cornices. We are a full-service interior design and custom window treatment workroom in Pleasantville, NY servicing residential and commercial clients in Westchester and Fairfield counties. We carry an extensive library of high-end fabrics and wallpapers and specialize in custom furniture, draperies, shades, upholstery, and re-upholstery. Daysi'O Galleria is a family based business offering a wide variety of Unique and Fine Antiques, Vintage and Collectible high quality items from all over the world for your Home or Office Decor. We also pride ourselves on being the number one Home Improvement In the area. We provide Furniture Upholstery, Refinish and Repair services to our Valued Customers, we service both residential and commercial properties. We have built an excellent reputation for customer satisfaction by providing quick estimates, a great attention to detail, and competitive pricing. Being a screened and approved professional gives you the peace of mind you need to allow us to give your home the attention it deserves. Call us today and let us get started! Re-upholstery/upholstery repair includes redoing/outfitting items like chairs and sofas with springs, padding and fabric coverings. This can also include adding fringe, piping, tufting or additional decorative elements to a furniture piece. They can also advise you about the pros and cons of different fabrics so you can choose the best type for the project in your Setauket-East Setauket home. Find Setauket-East Setauket furniture repair professionals on Houzz. 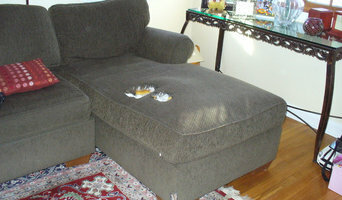 Narrow your search in the Professionals section of the website to Setauket-East Setauket, NY furniture repair.